Hey Y'all poppin in to talk about this Macys pinned stripe shirt and dressing for fall in the south. 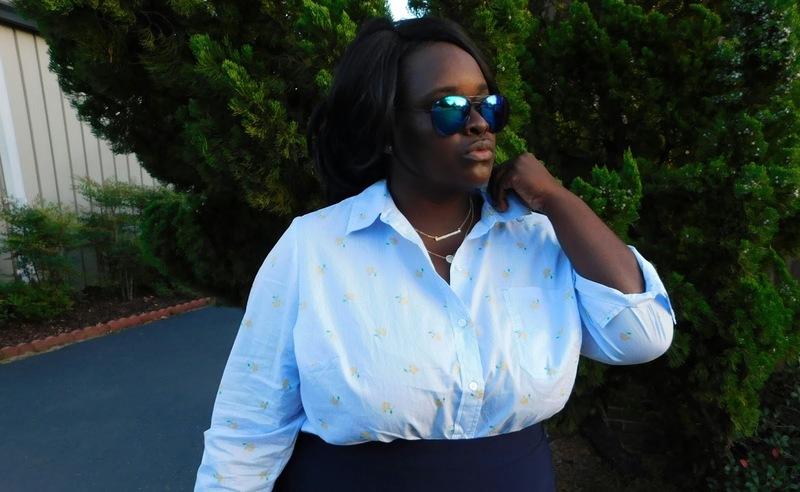 I am not one for button ups however; sometimes I come across a top that would bring so much fun I have to have it. What's not fun about this Macys navy blue pin stripes and yellow flowers? 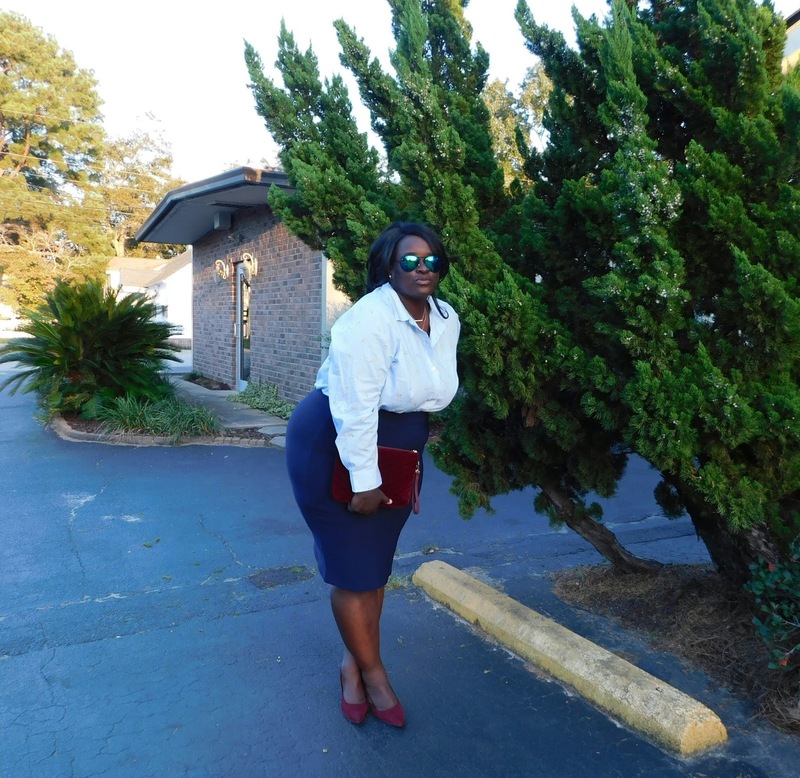 I paired it with a Navy Blue pencil skirt, my wine colored velvet clutch and suede pumps. Im also loving how my Audrey Grace and Izzy necklace paired so well with this look. This was a match made in heaven. 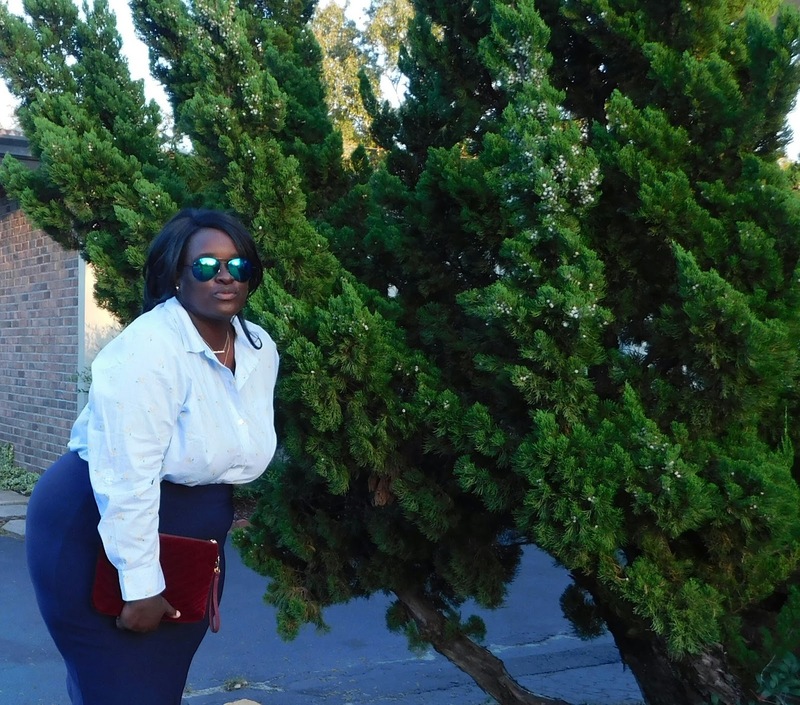 This look to me is very classic and perfect for a WERK AT WORK look. 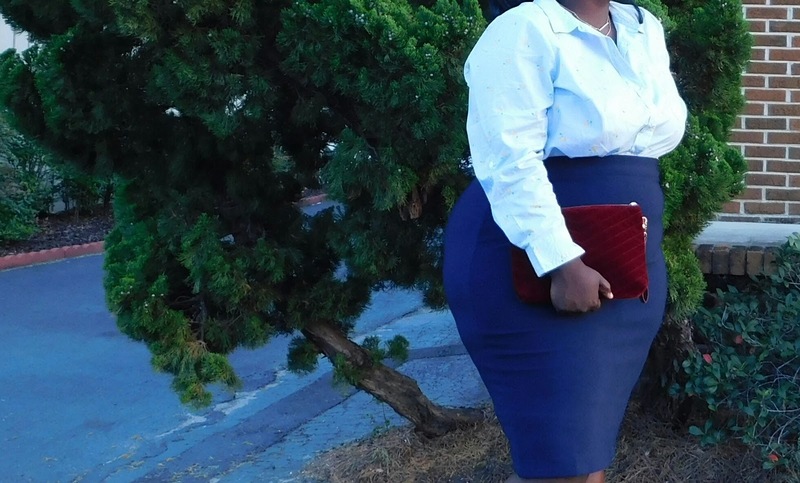 I love pencil skirts!! The show our shape nicely! Yes they are a fave of mine also. Thanks so much for reading. 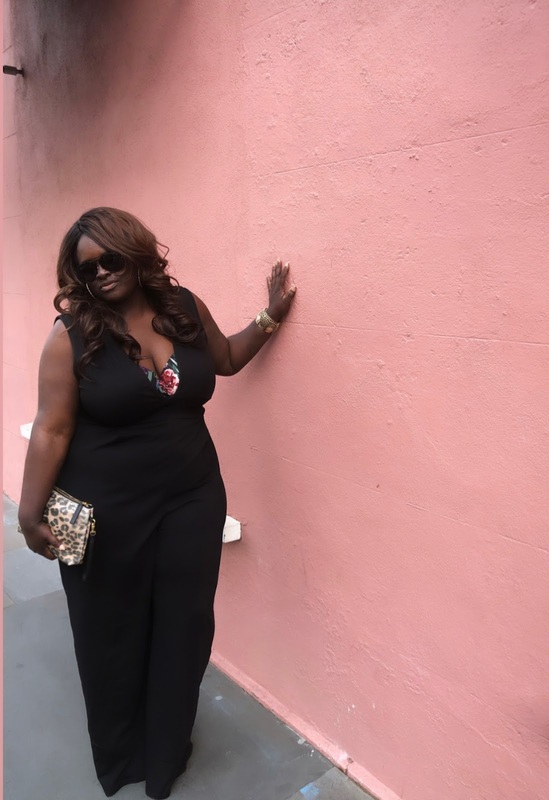 Hi, I am Telisha Renee', a born and raised Charleston Chick! The Fashionable Traveler is a blog based on " the places I've gone and the things I put on". 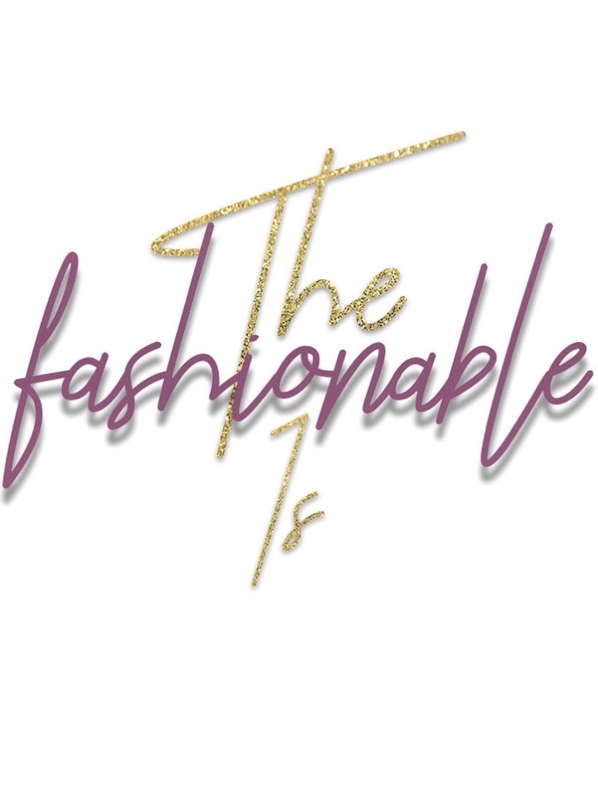 The Fashionable 1's Sign-Up Here! © 2015 the fashionable traveler. Peyton Template designed by Georgia Lou Studios All rights reserved.